Originally the traditional gymnasium in Finland as well as in other European countries was exclusive and segregating, a school for elite and for screening the upper classes. On these premises, apart from its cultural mission, it was only natural that the essential curriculum of gymnasium was theoretical and unpractical, academic and non-utilitarian, far from the lives of common people. Basically the nature of gymnasium stayed that way till the last decades of the 20th century, though the growing numbers of students, industrialization and for instance the progress of international connections compelled to some changes, e.g. to take up spoken languages, which in the course of time pushed Latin and Greek more and more towards margin. But it was not until the progressive education movement started to criticise the narrowness and formalism of traditional education that the question of reforms arose. 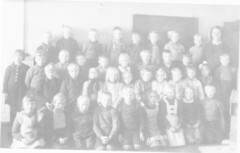 Until the 1970´s Finland had a parallel school system: the folks-school and the version of the European gymnasium mentioned above. Four classes in the folks-school were common to all. After that came the first segregating point, when some entered gymnasium (if they had passed the entrance examination) while the others continued in the folks-school. The division was fatal, because only those who had passed the first five classes of gymnasium were accepted into the three further classes, lukio, which was practically the only gateway to academic studies. In the 1970´s this segregative parallelism was abolished, at least in structure if not completely in practice, when the folks-school and the five lower classes of the gymnasium were united into a comprehensive whole. From that on all who had passed it, were entitled to the finishing classes of gymnasium, lukio. The second segregating point was, when, after five gymnasium classes, some continued to the three further gymnasium classes, i.e. lukio, while some others entered professional schooling or finished school. Those who passed the matriculation examination at the end of the gymnasium, got an undergraduate certificate that entitled them to academic studies. This consummated the segregating process. The emblem of undergraduates was the "white cap", distinguishing its carriers from the others. Originally practically all "white-capped" and until, say, the sixties a great majority of them started at least lower academic studies. But later a growing number of undergraduates have entered lower professional high-schools and even vocational schools for which the matriculation examination is not required. This weakening of the segregating function has been due to natural reasons, mostly to rapidly growing numbers of students in "lukio" and general modernization. This essay is an attempt to give an account of the reasons for the tardiness of the reform of the “lukio” and of the path that finally led to a kind of ungradedness that came about in Finland in the 1990´s. There was strong political pressure even before the beginning of the 20th century to reform the segregating system. But for many reasons it was not until 1970´s that the compulsory part of it (folks-school and five gymnasium classes) were united into a comprehensive whole. The three finishing gymnasium classes,“lukio”, continued toward the end of the century. It is true that there was a set of changes in 1982 that were called a reform, but ,as we shall see further on, renovations concerned at that stage the outward features of the system, which together with the new weightier curriculum combined to make the old annoyances even graver. The first committee charged with preparing a proposition of a pedagogic reform of the gymnasium published its work as early as 1933. It concluded that the working scheme together with the curriculum of mutually independent subjects was incoherent and disconnected, as the lessons were placed in a haphazard way without any didactic point of view onto a weekly schedule. The repetition of the schedule every week of the school year exactly in the same form was apt to make the schooldays scattered and monotonous. The system ached for centralization. 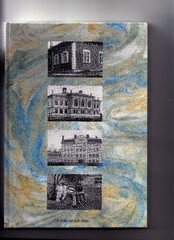 Looking for a remedy the committee brought up Helen Parkhurst´s idea of an ungraded school and the Dalton Plan and . But finally the committee thought that ungraded system would be too demanding a change for the then Finnish school system, and did not include it in its proposal. Instead it proposed grouping the subjects and periodizing the groups so that all the subjects would not be on at the same time. When the work was published, the opposition was loud, and for well known reasons the 1930´s was not a very favorable time for a school reform. But the idea of the periodic system survived to be brought up, when the century turned to its second half. In the end none of the proposals of the committee were realized. At the beginning of the 1950´s there was another official committee with a similar task as that of its predecessor twenty years earlier, but it could not produce anything new, on the contrary it looked backwards trying to revive the Herbartian heritage. Modernization was not yet in the horizon of the committee. Even the Lukio Committee, which published its work in 1970, when the coming reform of the compulsory stage was already well known, concentrated only on some details, e.g. evaluation and matriculation examination. This was the time, when it would not yet have been too late for a plan of a necessary reform for the secondary schooling after the comprehensive primary stage. While the administration was at a loss of knowing what to do, there was - far from the "maddening" centers of power - a move which would prove to be the beginning of a path that should lead - after many adversities and reverses - to a reform of the lukio. The evolutive process started unfolding- modest and hardly noticeable - In Sysmä, a small country town in Central Finland. In 1949 the newly appointed headmaster of the local gymnasium Touko Voutilainen took it as his task to do something about the imperfection that the first gymnasium committee had set its eyes on: the incoherence and disconnectedness of the traditional weekly working schedule, in which there was hardly any room for didactical points of view. He acquired an official permit for an experiment in which the goal was to find how it would be possible to centralize teaching. He devised a periodical working order. Instead of the same schedule of single lessons for every week of the school-year. The year was divided into periods, each having a special schedule of its own. The subjects were divided into periods according to a kind of on/off-principle: when a subject was ON, the number of lessons was increased, for instance doubled, when OFF, the number of lessons was null. This was the first concrete step in Finland on the road to antimechanize the tradition that had originally been a purely pragmatic way to solve the challenge of mass-education. Seen from now, the move does not seem very extraordinary, but at the time it was a breach in a long tradition thought to be little short of eternal. In Sysmä the experiment lasted only for one school-year, as its leader moved to Helsinki - probably to greener pastures - taking the new system with him. Soon the period system was developed further in the Helsinki yhtenäiskoulu and then in The Käpylä Evening School. The former was founded in 1956 and the latter in 1962 Voutilainen being the main agent in starting them and their self-evident headmaster. In the former the learning material started to take courselike shape and measure so as to be fit to be taught in one period. In the evening school the teaching unit of one lesson per week was replaced by course measuring as many lessons as the number of school weeks. So the curriculum consisted of separate named courses of equal length. Courses could be placed, timed, repeated etc. more freely, and so it was possible to pay attention to pedagogic and didactic needs, goals, demands etc., which was not possible, if the weekly schedule of lessons became fixed for the whole year. In addition to concentration periods and courses produced flexibility. The traditional presupposition has been that school is what it is and where everyone is measured with the same standard. The student has been supposed to adapt to it - and if he/she has been unable or unwilling to do so, "concilium abeundi" has been the solution. It could be – in fact has been - maintained that the school of the same content, duration, methods, criteria etc. gives every one equal opportunities and fulfills the ideal of equality. So it would, if the students were similar, came from the same kind of background, matured at the same pace, learned in the same manner, their interests were of the same kind etc. But this is not the case. The classroom, in the view of the most influential theorist of progressive education, the American philosopher John Dewey, should be a democracy in microcosm, in which people´s different means, needs, situations, ends, interests etc. must be taken into consideration in the distribution of social benefits. In the Käpylä Evening School students were adults, and their goals of studying , learning experiences and abilities, backgrounds, living situations ets.varied widely. Many students had to give up, because it was too hard for them to keep pace, not to speak of those who did not even dare to try, because they concluded that it would be impossible for them to engage themselves to a graded system of three years with fixed permanent groups and schedules. The first attempt to approach the problem in Käpylä was an experiment that was called the Speed Line (1968). It was, on a voluntary basis, a compact program of two years to do the final examination in place of the ordinary three years . The result was, however, dissatisfying, because many of those who started resigned, while many who would probably have benefitted, did not participate. Now the look was turned to a different direction. They searched for a possibility of individual variation to meet the needs of different students in varying situations. They focused on what was the obstacle that kept the student from following a more flexible route as to the duration, content and level of his/her studies. The answer was: the graded system, in which the student belongs to one of the three year-groups (instead of "age-group", which gives a slightly misleading connotation) and a permanent teaching group and, in which, in principle, all the members of a permanent group are expected to attend the same program of lessons collectively through all the three years. From now on the starting point was that the same program at the same collective pace in a fixed group was very unsuitable for students, who differed so widely in so many respects. Only if the student was disengaged from his/her year-cohort (grade) and freed from belonging to any permanent teaching group, one could make individual choices and have a possibility of optimizing one´s duration, quality, level and quantity of studies. The emancipation from the confinement to predestined cohorts and classes together with periodical organisation of schoolwork and course-structure of curriculum was the basis for a new kind of school strategy: ungraded organization of school-work. The student´s non-dependence from a fixed grade and group and consequently from a prearranged schedule was adopted for the basis for the new system. This produced two essential results: First, the student could plan, or at least be the interested party in planning, his/her individual program of studies. Second: he/she was free to regulate the time-dimension of his/her studies. Internationally the term "ungraded" had been chosen as the characteristic label of the new system. Käpylä did not disagree, but they wanted to bring forth and stress what they thought might be of equal significance or perhaps even more characteristic of the new system. When they coined the phrase "variation with time" they wanted to emphasize the importance of the flexibility of the time-dimension. In any case both the absence of fixed grades and permanent groups and the individuality of the duration of one´s studies are essential. The strategy that had evolved feature by feature iin the course of over twenty years culminated in the Experiment of "Ungraded Lukio. In every phase a step further had been a result of innovative solution of a real problem. That is at least partly why there was genuine freshness and inventiveness in the activity at Käpylä. And most important of all, the innovations had feasibility, because the system was developed in the immediate everyday practice of the schools. When the experiment ended in 1972, the new system was relatively clear-cut and ready to be used, needing only some further refining, for instance studying rules in a system essentially different from the preceding. Anyway there was an ungraded system to take, for instance to solve the fundamental imperfections in the traditional gymnasium instruction and leveling its undemocratic segregating functions. The Käpylä experiment had proceeded relatively unnoticed and without any wide publicity. At this point you could still say that what had been done had been done for a cause, not for a show.So far, so good. But after the success in an evening school, inevitably, there arose the question, if ungraded system would work also in day-schools for younger students. Two day-school experiments were started In 1972 to get an answer, one in the Mäkelänrinteen Yhteiskoulu and the other in the Alppilan Yhteislyseo. Both adopted the system developed in the Käpylä Evening School. The headmaster and the teachers in the former school had been interested in the new strategy and in advance studied the practice and the pedagogical philosophy on which it was based. 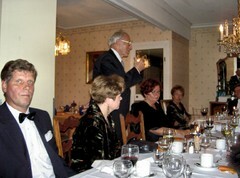 Mr. Rainer Pelkonen, the headmaster, even made an expedition to the United States to learn about ungraded arrangements. The school had even applied some features of ungraded system already beforehand. Mäkelänrinne has been ungraded since the beginning of the experiment (over 40 years now) and contributed many important additions to the system. It has been and still is one of the leading gymnasiums in Finland. At least some of the credit for this is due to the novel system, which inspired to creative ideas and provided scope and organisational possibilities for inventions. 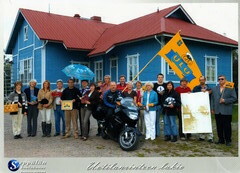 Rainer Pelkonen is, besides Touko Voutilainen, the main developer of the Finnish ungraded school. Unfortunately the first experiment year in Alppila was a failure, probably mainly because the preparation of the staff had been, if not nonexistent, fatally insufficient regarding the scope of the change. The headmaster and the teachers clearly did not understand how widely the new system would differ from the traditional school. However, the school gave the students almost complete freedom to choose their programs right in the beginning. The staff was unable to handle the situation, and the consequence was a disaster, a quick retreat to the "normal" and even the resignation of the headmaster. The school did not hesitate to inform that there would no more be "any variation of time", that the aim would be that all students would have to do their final examination in three years and that free choices would be allowed only in marginal subjects. This declaration notwithstanding the experiment was allowed to continue under the auspices and the name of "ungraded". So it came about that the Alppila case gave a fatal sign that it would be alright to remain more or less graded under the word of "ungraded". In fact the policy of "three grades in three years" was even more pressing than the traditional graded school, because repeating a grade in its totality was quite a frequent procedure in the traditional gymnasium, but this could not possibly be done in a school supposed to be without grades. But at the same time "elsewhere" the course of events rolled on uncompromisingly. When the 1970´s was well on its way, the educational scene was appropriated by something that had not been in the centre of interest in Käpylä: the national schooling policy. The realizing of th reform of the compulsory primary education began its advance provincially step by step in 1972. This meant that in a couple of years any one who would have passed the comprehensive primary stage would be knocking on the doors of secondary schools, vocational as well as general. This was to say that all Finnish youngsters would be passable to lukio, the school whose traditional function had been and still was to prepare for academic studies. The awakening of the highest headquarters was shamefully late considering that the situation called for far-reaching decisions about national educational policy for the secondary stage. Havingat last heard the call to arms the government appointed a large, politically representative committee in 1971 (The 1971 School Committee) to plan the reform, for which the Parliament had given the principles of equality and comprehensiveness as the guiding cornerstones of the new secondary school. The committee followed the instruction and proposed a comprehensive secondary school of twelve years''', the 11th and 12th years consisting of 2-year vocational sectors. One of the sectors would have been general, i.e. a 2-year substitute for the three-year lukio. Ungraded system was not included, because the principle of variation of time did not fit the scheme. That was because, according to the interpretation of the committee, equality demanded schooling to be of equal length to all. And of course a three-year lukio could not possibly fit in. The most prominent and immediate reaction to the proposal of the committee was a hectic nationwide debate about the question of the traditional 3-year lukio. The conservatives demanded that it should remain separate, have three grades in three years and be allowed to keep its specific position, i.e. not be intergrated with other secondary schooling. The reformative party was for a comprehensive secondary education and ready to abolish the special position of the lukio and accept the general education to be a two-year sector aside the vocational sectors. In the end the conservative line was victorious, when the guidelines for the reform were set by the resolution of the Government in 1974. In this situation the government resorted to pragmatism. The "verdict" was both practical and popular enough: the day-lukios were to continue as a separate and graded three-year schools - as the majority had wished in a loud voice. The clause of the resolution stated that the developing of both lines should take place its own separate category, but as to the vocational line the directive added that it should be developed so as to become a competent alternative for the lukio. The disappointment of those who had worked for a non-segregating comprehensive united secondary stage was disheartening. In the hindsight the government may have been right, when it concluded that in the then situation in the 1970´s, the Finnish schooling system would not have been ready for so big a change. But the government and its then minister of education, Ulf Sundquist can be blamed for having neglected and failed in timing the impending agenda and for miscalculating what was the degree of urgency and importance in his division of responsibility. Also the central department of education is to be blamed for the absence of a plan and preparation, which was the main reason for the hurry and haste. Considering the scope of the maneuver it would not have been too early, if the preparation for the reform of the secondary stage had been embarked upon not much later than the preparation for the reforming project of the primary stage. We shall learn further on how the separate lukio was developed, but in this connection we may remember the fact that the two official experiments of ungraded lukio which had started in 1972 were under way with permits valid until 1978. Oddly enough they were not cancelled, though the motive of their existence had crashed. They were more or less forgotten as harmless on their sideline thought to be a "cul-de- sac". But for the Mäkelänrinne it was lucky strike and they were happy to have a legal basis for their innovative work. No doubt they knew they were on the right track and refined the ungraded system taking little heed of the resolution of the government. When the term of the official permit ended in 1978, they wanted to continue and requested for a special permit to go on. In fact that is what they more or less had to do, because they had advanced so far that they would not have known how to return. And they did not have to turn back, for the school was granted a special permit until further notice - and the rest is a glorious chapter in the history of Finnish education. The case of Alppila instead was different, but would have even a greater impact on the future. As we realized earlier, the school plunged into the ungraded system without proper preparation, and so the beginning of the experiment there was more or less a total failure. Consequently the school retreated quickly to the traditional system of three grades and permanent groups with no variation of time and little chances of individual choices. The fact that a strictly graded and permanently grouped school was doing an experiment with the name of ungraded system was not at all an innocent and harmless dislocation of words. The consequence has been that after the Alppila case the use of the word "ungraded" has been indiscriminate. This has gnawed the possibilities of reasonable discussion about the concept. The gravest consequence is that today mostly the word must be furnished with quotation marks as to the Finnish gymnasium. The commission of the Government´s resolution to develop, besides vocational schooling also lukio - both as such. The result was a reform in 1982 after a few years of preparation in an almost hostile spirit towards any "variation of time". But though ungraded system was determinedly abandoned, two of its cornerstones, the periodical organization of schoolwork and the course-formed, i.e. modular structure of the curriculum were picked up to give a tinge of novelty for the reform. Course-formed was the keyword for the 1982 reform It aroused great expectations, especially as, in the beginning, it was hyped extravagantly in the media. The greater was the disappointment, when the nature of the reform became obvious in the next few years. The course-formed graded gymnasium was a hybrid that was bound to be unsatisfactory. The modular structure of the curriculum was purely cosmetic, without any practical function at all, because the students were tied to a certain year-grade and a certain permanent group without any real possibilities of variation and individual choices. When at the same time the number and weight of the compulsory subjects was increased and the renewal of the textbooks was a long-waited opportunity to include up-to-date content in them, the bulk to be taught, learned and evaluated grew beyond reasonable. So even the periodical system, born to give an an opportunity to concentrate the disconnectedness of the traditional working schedule, turned into aggravating the pressure. The consequence was that the earlier ills got even more acute. The stress intensified. Hasty and hurrying, listing and superficial teaching was accompanied by cramming reading. The monolithic nature of the curriculum made the organization of instruction even more rigid and academic, evaluation at the end of every period directed attention toward tests, marks and undergraduate examination and sharpened competitive atmosphere, characteristic of the traditional gymnasium. For all the hype the disappoinment was all the more marked. The critisism grew louder and louder, in which unforunately the essential concepts were often misplaced. For instance "course-formed" and "ungraded" were often used indiscriminately. The irony in the matter was that often the guilt for the failure was set on ungraded system, the lack of which in reality was one of the main reasons for it. But some of the schools that been appointed to test the the applicability of the new whole made repeated reminders that the advantages of course-form could not come true, if the school was graded. On their initiative at last the idea of ungraded system was revived in 1985. The second phase of the experimentation of ungraded gymnasium, called upon as a rescue for the venerable lukio unexpectedly ailing on the brink of bursting to pieces, started in six day-lukios in 1987 after two ears of preparation - about ten years after it had been turned away. The start was established on the premises of the earlier experiments. The inheritance included two models. 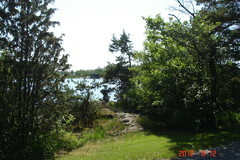 First, the Mäkelänrinne stayed close to the original pedagogic idea and philosophy of ungraded school. The school saw the potential of the system and developed the original model of Käpylä further with innovations. It was allowed to continue as ungraded with a special permit, when the official experiment of ungraded system in day-schools ended in 1978. If this model had prevailed later, when the second wave of experimentation started in 1987, the situation today would probably be different. However Mäkelänrinne had perhaps developed the system and advanced so far that it was regarded more or less a special - and maybe overwhelming - case. And adopting it as a model would have meant a real change, a change that may have looked like a frightening lot of work. It may have looked too big for an ordinary school. Also philosophical and educational outlooks naturally differed, and of course there was the everlasting counterpoint of the conservative and the progressive. On the other hand there was the case of the Alppila for those who did not want a real change and for those who wanted to avoid extra work and risk or hesitated for some other reason. As we saw above, the school returned to the old practice, but was allowed to continue the experiment under the auspices of "ungraded" system. The general public had no chance of knowing about the idea and philosophy of ungraded education, especially as there were funny notions at large and even many headmasters and teachers were at loss. The administration retreated behind the screen of ''laissez faire,'' So the case of Alppila looked like an official permission to call a graded system ungraded, We do not go deeper into the question, why the Alppila model proved more popular, because it would require a deeper analysis than is possible in this connection. The first goal In the new experiment was to work out a definition of ungraded system. But no agreement was reached, the majority being pragmatically - and perhaps ideologically - more or less inclined towards the Alppila variant. Then, if the system was said to be ungraded, the problem was a student´s failing to pass a grade and having to do the same grade again ("luokalle jääminen" in Finnish) and doing its whole program anew even if you had failed to pass in only one subject, which used to be a common feature in the traditional system. (This was a sort of primitive variation of time. About a third of students redid at least one grade in the Finnish "lukios" in 1985.) The solution in the Alppila model was that those who were not able to keep pace with his grade were said to be “slowing”. So after all some time-variation could not be avoided, but was renamed with a word of a negative connotation. A related problem has been how to say: "He/She is on the 1st, 2nd or 3rd grade (class)." In Finnish there seems to be a difference, when the term "vuosikurssi" has replaced the word "luokka". In English the corresponding difference cannot be expressed with single words, because there is no material and practical difference. The question is purely about a verbal trick with Finnish words, which suggest that a real material and practical change has happened. In reality however changes are probably mainly verbal and peripheral. As to the models of Käpylä and Mäkelänrinnewe should remember the connection with the needs of reform expressed already in the first half of the 20th century. Especially the work of the first gymnasium committee (1934) is remarkable - to the point of being ahead of its time. Though its proposals were not realized, it seems that there is at least one connection that has had a decisive influence on the Finnish education: the need of centralization of the traditional working order in the Finnish gymnasiums. This was the motive of the process that started in Sysmä in 1949/50 and culminated in the ungraded system in Käpylä. In addition it is natural that the new system would be apt to help redress the other imperfections that had so long been the objects of attempts and suggestions of remedy This had been the case even as late as in some proposals of official and unofficial committees in the 1960´s (e.g. Varjokomitea 1963, Koulutusrakennekomtea 1969, lukiokomitea 1970). The disconnectedness, tedious and unvarying uniformity of working order, lack of possibilities of centralizing, inflexibility, transient learning results and test- and mark-centeredness are examples of defects often mentioned. Consequently the most important goal was to improve the didactic efficiency. The basis for this was the philosophy of the progressive pedagogic movement, according to which learning is an individual thing, because learners differ in many ways. That is why the same in the same way in the same tempo and the same measure cannot be the right didactic strategy. Instead the system should be such as to help every student to optimize his/her individual possibilities of learning achievement. That is why the crucial determinants are on one hand refraining from fixed grading and grouping, and on the other the flexibility of instructional arrangements and the individuality of studying duration ("variation of time") content and level. Students´ personal planning of their routes and programs is essential, in which they need individual guidance and counselling of teachers. An important goal was also to economize the costs of education. The traditional school comprises a lot of useless doing of courses only, because they are compulsory. This waste of time, money, energy and talent can be lessened by increasing room for indivual choices and arrangements that produce options for individual interest and talent. And of course doing whole grades again becomes an absurdity, if there is none. Instead there should be ample possibilities of doing again not only failed, but passed courses. The improvements in the direction described above are apt to minimize dropping out, which produces many-sided economic, social and human profits. The first approach is rather simple and easy. The other is demanding and laborious, for example because it requires extra work and added contribution, not only from those responsible for the general organization of schoolwork and teachers, but also from students and even parents. So it is no wonder that the Alppila line, i.e. the more or less graded strategy with some stray features borrowed from ungraded systems has been much more popular than the example of Käpylä and Mäkelänrinne. Thoughts, plans and choices of the Finnish lukio students and their families are strongly and tenaciously determined by social expectations and rites that are connected with the undergraduate examination. The rites, while the number lukio students has grown, have been getting more and more marked features of initiation rites. The examination together with the carnevalistic rites and feasts in the middle of the spring term has become an unofficial part of school-year that bypasses and brushes aside the official work-plan. It has gathered so important a status among the youth that it is a powerful impediment for a real ungraded system. This is quietly accepted by the teachers, in quite many cases even hailed also by them as a yearly great competitive occasion. All this is hyped in the media. because the traditon has it that you have to be part ot in the spring of your third year, which of course is hostile to indivifual choices and variation of time. Opiskelijan ja hänen vanhempiensa odotuksia hallitsevat syvälle juurtuneet, lukionkäyntiä determinoivat ylioppilastutkintoon kytkeytyvät sosiaaliset odotukset ja riitit, joista on ajanoloon muodostunut yhä selvemmin ja syvemmin nuorison siirtymäriittejä. Tutkinto siihen liittyvine traditioineen/siirtymäriitteineen onkin lukion virallisen opetussuunnitelman ohittava piilo-opetussuunnitelma, joka jarruttaa ja estää aitoon luokattomuuteen siirtymistä. Vaikka tutkintoa onkin uudistettu valinnaisemmaksi ja vähemmän kohtalokkaaksi kolmine kirjoituskertoineen ja uusintamahdollisuuksineen, se on edelleen sekä opetusta että opiskelua vahvasti ohjaava tekijä. Siinä niin kuin lukiossa yleensäkin näkyy selvimmin kaikkinaisen kilpailun korostuminen niin opiskelijoiden kuin opettajien ja koulujen kesken. Sosiologisesti nähtynä siinä on edelleen jäänteitä edellä mainitusta rinnakkaiskoulujärjestelmään liittyvästä kahtiajakautumisesta. The reform of gymnasium in the mid 1990´s was curtailed in regard to original goals. A consequence of the two contradictory models was that both were present in the second phase of the experimentation and now around the country. But the Alppila model prevails, and so "ungraded ungraded" is relatively rare. One of the gravest institutional obstacles impeding change appear to be deep-rooted fixations that are inseparably connected to the conventions of the Finnish matriculation examination. The most dominating tradition is that you are supposed to do your exam in the spring of your third school-year. This temporal predestination will lead inescapably to the traditional duration of studies. A real ungraded system is not possible, unless this social institute is broken. Otherwise a student cannot make '''own decisions''' about his or her own studying: '''content, aims and duration'''. This is not easy, and it cannot be done ready-made, especially because to get started some measure of collective and genuine thirst and innovative search for change is required from the staff and, in the end, from the whole of the community. And to succeed the determination should last and prevail. The most important question in regard to secondary education is how its nature and social role will develop. Unavoidably it will develop in some direction in a world of more and more of sophisticated overall technology and globalization - and more and more aggressive business. Will the secondary education serve the selective needs of a commercial and competitive society as its primary function? Or would it be possible for education to grow into a democratic and empowering force, the basic function of which it would be to ensure everyone's active integration into one's community and an access to and participation in the world of knowledge and culture? No doubt the selective function in Finland has diminished now, when about half of the cohort passes the matriculation examination, but equally without doubt it is still there - changed, refined and masked. Maybe that is one of the reasons, why attempts to bring gymnasium and vocational schooling closer to each other or even under the same "roof" have failed. The need for an institutionalized mechanism of social distinction is still strong enough, especially as it is not generally recognized as such. Naturally parents hope their offspring will walk on the sunny side, and it is no wonder the young themselves see the white cap as a sign of being accepted into the upper story. It is very doubtful, whether gymnasium has succeeded in empowering people in democratic spirit, which is its official pedagogic goal.Anyway it is disheartening to read what an undergraduate wrote in Helsingin sanomat in the spring of 2013: "... whose interests serves . . . if a youngster is trained to cramming pieces of knowledge by heart and then forming answesr that would wishfully meet the expectattions of an official sensor." Helsingin sanomat 24.3. 2013) This question is mutatis mutandis exactly the same that was asked more than a hundred years ago! SOCIAL INSTITUTIONS, TRADITION, TRADITIONAL, PHILOSOPHY OF EDUCATION, HUMAN LEARNING, SOCIAL LEARNING, INDIVIDUAL LEARNING, SELECTION, SEGREGATION, EMPOWERING, DIFFERENTIATING EDUCATION, COGNITION, CONDITIONS OF LEARNING AND COGNITION, CONCENTRATED/DISCONNECTED TEACHING, SECONDARY SCHOOLING, VOCATIONAL SCHOOLING, GENERAL SCHOOLING, FINNISH SECONDARY SCHOOLING, GRADED SCHOOL SYSTEM, SCHOOL GRADED BY AGE/YEAR, PERMANENT GROUPING, UNGRADED SCHOOL SYSTEM, NON-PERMANENT GROUPING, FINNISH UNGRADED LUKIO, CURRICULUM, MODULAR CURRICULUM, PERIODICAL SCHEDULE, FINNISH LUKIO, FINNISH GRADED AND UNGRADED LUKIO, MODULAR CURRICULUM, PERIODICAL SCHEDULE, HIDDEN CURRICULUM.